The sea is the circulatory system of the world economy, through which the economic blood of trade, ideas, and information flows. At odds with this healthy economic lifeblood are the pathogens of theft, corruption, and illicit trafficking. In addition to patently illegal contraband, such as narcotics and weapons, numerous illicit goods move through the maritime transportation system, avoiding taxes and undermining legitimate trade. Tobacco is one of the most commonly smuggled illicit goods around the world. The commodity moves in multiple directions, sometimes both to and from the same countries, making it challenging to understand the traffic flow. Specifically, the distribution of substandard, untaxed cigarettes through the Eastern Mediterranean involves a complex criminal network of producers, smugglers, and dealers and benefits nefarious actors across the Levant. These substandard cigarettes are often cheaply made in Eastern Europe, circumventing European Union safety regulations. Brands such Prestige and Victory are packed aboard container ships in Bulgaria which move through the Black Sea, then into the Aegean via the Bosporus Strait. From there, some of the contraband shipments make their way to Syria, while others continue down to the Red Sea and around to the Persian Gulf. The Gulf-bound cigarettes likely continue into Iraq and Turkey. In the Eastern Med, many are offloaded at the Syrian port of Latakia. The cigarette distribution network in Western Syria is controlled by and benefits the Assad family while bypassing various international sanctions against the authoritarian regime. 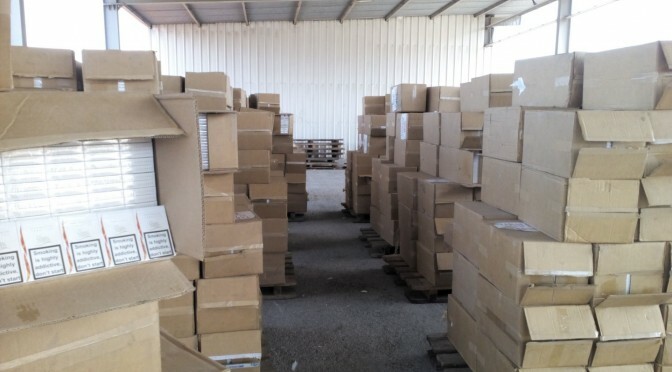 Upon arrival from sea at the port of Latakia, cigarettes move through a series of storage warehouses and distribution points from Assad-controlled coastal regions of western Syria into transshipment points near the Turkish border that are sometimes controlled by smugglers aligned with the Islamic State of Syria and the Levant (ISIL). The cheap cigarettes are sold at a premium price in Syria and also smuggled across several border points into Southern Turkey. In a typical display of jihadist hypocrisy, ISIL has publicly burned shipments of cigarettes to enforce Sharia while continuing to profit from their smuggling into Turkey. The product and profit not only support ISIL and their organized crime network, but other Al-Qaeda affiliates and foreign fighters drawn to the region. The illicit tobacco trade is an instrumental part of their funding portfolio, which also includes weapons trafficking, and sale of stolen oil. Disrupting a trade that crosses multiple sea and land borders (some of which are in war-torn countries) is challenging to say the least. Law enforcement and military organizations are incentivized to ignore or take action against illicit smuggling networks for various reasons. 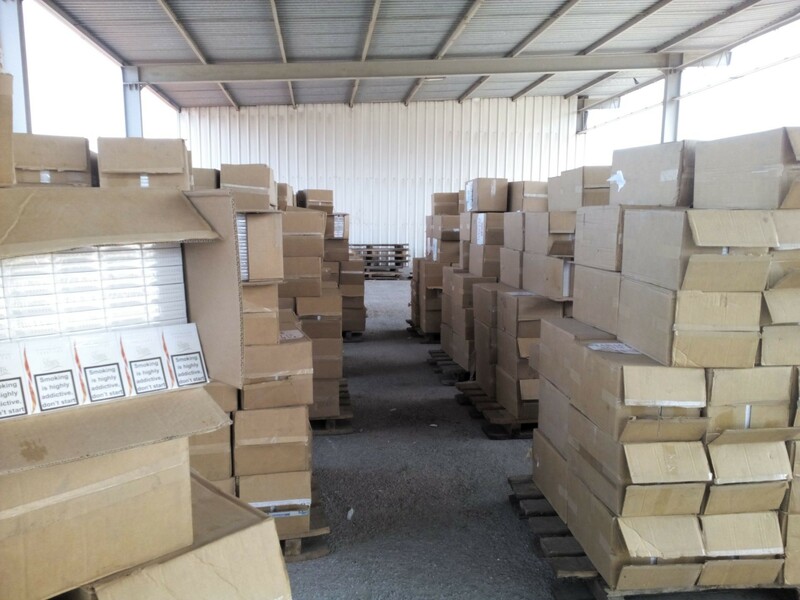 Clearly, customs officials in more than one jurisdiction are complicit in looking the other way or even facilitating these illegal cigarette shipments that contribute to instability in the Middle East. 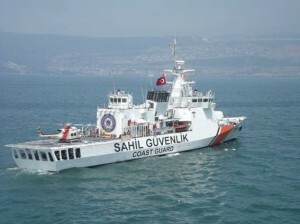 On the other hand, one of the more active maritime law enforcement authorities in combating the illicit tobacco trade is Turkey’s Coast Guard. 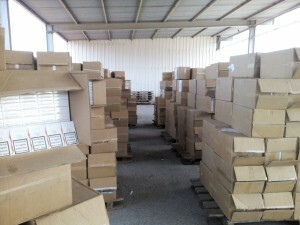 In 2013, the organization seized 177,420 packs of cigarettes, down from over half a million in 2012. The organization’s deployments in the Bosphorus Strait and along the Eastern Mediterranean coastline place it in a strategic position to combat shipments moving towards Syria. Contraband cigarettes seized in August 2014 at Thessaloniki. (image courtesy of Hellenic Coast Guard). 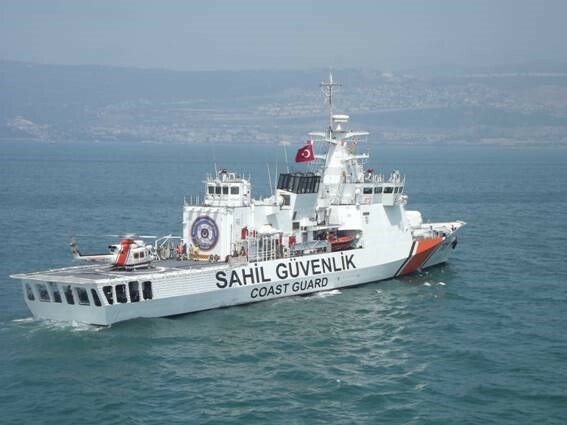 Another regional player with a demonstrated a propensity to disrupt the illicit tobacco trade is the Hellenic Coast Guard. The agency recently arrested two smugglers and seized a container full of nearly nine million contraband cigarettes at the port of Thessaloniki. Interdicting a cargo ship at sea to find a contraband cargo in one or more specific containers is extremely difficult from a tactical perspective and often unsuccessful. But intelligence sharing can assist in narrowing down the search and aiding in the removal of suspect containers as the ships make port while not disrupting the flow of legal cargo. Additional cooperation between intelligence services, private companies, and maritime law enforcement will erode the illicit cigarette trade, and reduce the profits supporting the region’s bad actors. Chris Rawley is a Commander in the U.S. Navy Reserve with experience in maritime interdiction and counter-smuggling at the tactical and operational levels. The opinions and views expressed in this post are those of the author alone and are presented in his personal capacity. They do not necessarily represent the views of the U.S. Department of Defense or any of its agencies. 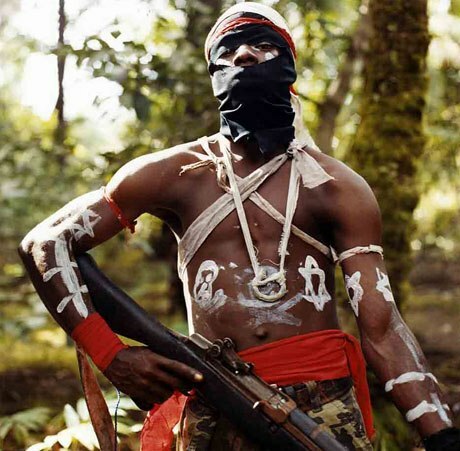 A fighter from the Movement for the Emancipation of the Niger Delta (MEND). The International Crisis Group (ICG) recently released a report* on maritime security challenges in the Gulf of Guinea. As usual from ICG, the analysis is excellent and informative, with reasonable policy recommendations to address the problems associated with increasing security challenges afloat (piracy, oil theft, smuggling, illegal fishing) in the region. Unfortunately, there is little chance that the proposed courses of action will be pursued or efforts by regional states or organizations will be up to addressing these challenges. What ICG calls “piracy” (beyond the traditional legal scope) is increasing…42 attacks, 168 hostages kidnapped, and 4 deaths between January and September of 2012. What had been primarily a problem in Nigeria’s Niger Delta has expanded, with attacks or raids in neighboring Benin, Togo, Ghana, the Ivory Coast, Cameroon, and Equatorial Guinea since 2009. In an accompanying Op-ed at Foreign Policy, ICG’s Thierry Vircoulon argues that maritime security in West Africa is important, both to the states in the region that want to benefit by tapping into their national resources, and the rest of the world that increasingly depends on oil from the region (40% of Europe’s oil is imported from the Gulf of Guinea, and 29% of the U.S.’s). The ICG’s first recommendation is to improve the economy in the coastal regions of the Gulf, thereby diminishing the need for locals to pursue illicit activities afloat as a livelihood. Unfortunately, precedents for Nigerian economic policies in the Niger Delta do not make it seem likely that countries in the region will begin to “boost job creation along the coast, in particular by protecting artisanal fishing, stimulating the local fish-processing industry, providing professional training for vulnerable sectors of the population” any time soon. The second set of recommendations entail improved maritime security forces for the region. Once again, this is a laudable goal, but it’s unclear who would pay for expanded and better-trained navies and coast guards for at least half-a-dozen African states. Even factoring in potential aid from the U.S., Europe, or China it’s not clear how a “donated” navy would be able to be enough of an effective deterrent against local pirates and criminals. The third set of recommendations revolve around establishing bilateral and regional frameworks for combined afloat operations. Whether in the context of ECCAS (Economic Community of Central African States) and ECOWAS (Economic Community of West African States), combined patrols between states such as Nigeria and neighbors such as Benin and Cameroon, or improved intelligence sharing relationships, these types of operations would be essential to stopping the current insecurity. There are numerous challenges to implementing this sort of regional cooperation. however. First, “maritime cooperation is still in its infancy and is hampered by political tensions and distrust of neighbouring states toward Nigeria.” Nigeria and Benin have begun to cooperate and conduct combined patrols, with Operation Prosperity starting in 2011. However, Benin has virtually no Navy, Coast Guard, or maritime security force. According to Janes, Benin’s Navy consists of three patrol craft, but one vessel dates from the late 1980s and isn’t believed to be operational, and the current status of the other two donated by China in 2000 is unclear. Thus Nigeria bears the brunt of responsibility for patrolling Benin’s waters, which is good in the sense that they now have the authority to pursue criminals operating there, but bad in the sense that they have in the past shown limited ability to control illicit actors in their own waters, let alone next door. The shortcomings of these proposed solutions point to one of the biggest problems with addressing maritime security challenges in West Africa as “piracy,” in that much of this criminal activity isn’t piracy at all. Much occurs within the various states’ territorial waters, while under the traditional definition per international law, piracy occurs in international waters. In these instances, the problem is one of criminals based in one state traveling to the territorial waters of a neighboring country to commit crimes afloat. The difficulty isn’t that these acts occur on the high seas where no one has jurisdiction, but rather, because they happen in someone else’s jurisdiction. A partnership where Nigerian criminals on the water can be pursued by effective maritime security forces across borders is essential, but seems unlikely unless an international sense of urgency increases. Lieutenant Commander Mark Munson is a Naval Intelligence officer currently serving on the OPNAV staff. He has previously served at Naval Special Warfare Group FOUR, the Office of Naval Intelligence, and onboard USS Essex (LHD 2). The views expressed are solely those of the author and do not reflect the official viewpoints or policies of the Department of Defense or the US Government. * UPDATE: ICG has posted the English translation of the full report.